Marian Chicago Die Cutting Facility - Marian Inc.
Mr. John J. Glenn founded J.J. Glenn Company in 1929 as a distributor of electrical components and supplies. Marian purchased J.J. Glenn in 1984. Since then, Marian Chicago has evolved from a distributor of the electrical supply industry to a fabricator of flexible component parts and one of the largest distributors of Silicone RTV’s. 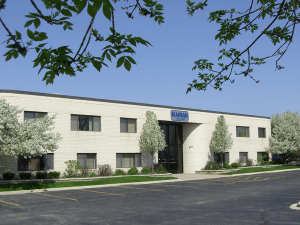 With a 50,000 square foot facility, Marian Chicago maintains the flexibility of a small independent company, but also benefits from the support of other Marian divisions.